I know it’s an extremely unpopular opinion, but I very much love taxes. 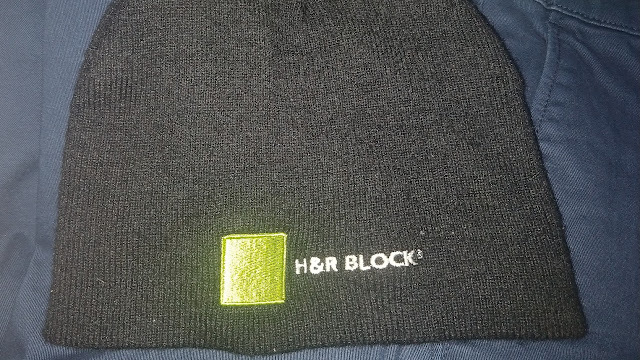 In 2011, I worked for the IRS for a short stint during tax season. A year later, I worked at H&R Block as an editor in a temporary capacity in the Learning Department for several months. Almost exactly a year after my first day, I was rehired there in a similar position, which only lasted a couple months. I applied for these jobs very much on purpose, and only don’t still do them, because I was just a temp, and they weren’t going anywhere. Now, why would I like taxes? They’re a pain to fill out, and “that’s my hard-earned money”. Well, that’s true. You did earn that money, so the question is now, what are you going to do with it? Are you going to buy more guns? Cigarettes? Tiki torches? Or do you want to spend it on improvements to your community? Libertarians would say, “hell no” to the latter, and “you should be able to, if you want,” to any other option. If you think spending a day or two filling out tax forms each year is a huge hassle, you are in for a real treat, if we ever get rid of them. Let’s go on a hypothetical walk, and take a look around. You’re on a sidewalk, next to a road. Let’s say it’s the evening, which means there are streetlights, lighting your way, along with traffic lights keeping cars from killing you. There’s a county hospital. That’s a public a school. Right across the street from that police station is a fire station. Wave hello to that postal worker, on his way to delivering your paycheck. Oh, now we’re in a not so great neighborhood. These people are struggling to get by, but fortunately, the government helps them out. They provide them with a little bit extra, to make their lives easier, so they have some money left over, which they spend on goods and services, which stimulates the economy. Which helps us all. See that house with a flag in the front, still in “bad” neighborhood? A marine once lived there. Not anymore, though. She was killed in action fighting for your freedom, and is survived by her husband, and two little children. Your taxes paid for her gear, and then it paid for her memorial services. Your taxes paid for that road, sidewalk, and lights. It paid for police protection, fire safety, health care, community education, and mail. It even paid some welfare, and other assistance programs. Some of things I’ve discussed you like, and some you don’t. Some you use, and some you don’t. But I guarantee you know at least one person who has, at some point, benefited from each of these things. An educated populace is a prosperous one, and I think it would be difficult to argue against the idea of safety and health. You may want these individual services to be paid for by the consumer on an as-needed basis. You may want everything to be privatized, so that companies compete for your business. That’s what capitalism is about, so why wouldn’t we use it for this? Well, because that would be hell. I don’t want to have to pay a toll every time I switch from one street to the next. L.A. traffic would look like racetrack compared to how that would be. Maybe we simplify it, by adding stickers to your car that indicates which streets you’ve paid for, and which you haven’t. Could you imagine the amount of manpower it would take to regulate this, however you set it up? A labor shortage would put this nation into just as much turmoil as unemployment has in recent history. You may hate taxes, but they are the most efficient means of distributing wealth across the whole country. I’m not saying it’s a perfect system. There are so many ways we can make it better. I don’t understand why I fill out any forms at all. The government should know where I work, how much money I earned, and even what I did with it. Just take what you need, send me a statement, and give me back my Aprils. I also don’t always agree with what they spend my tax dollars on, but the solution to this is not to simply eliminate the concept completely. The solution is to vote for civil servants who I believe will change laws according to what’s best for society. If you agree with this sentiment, then come the next two elections...#votethemout.